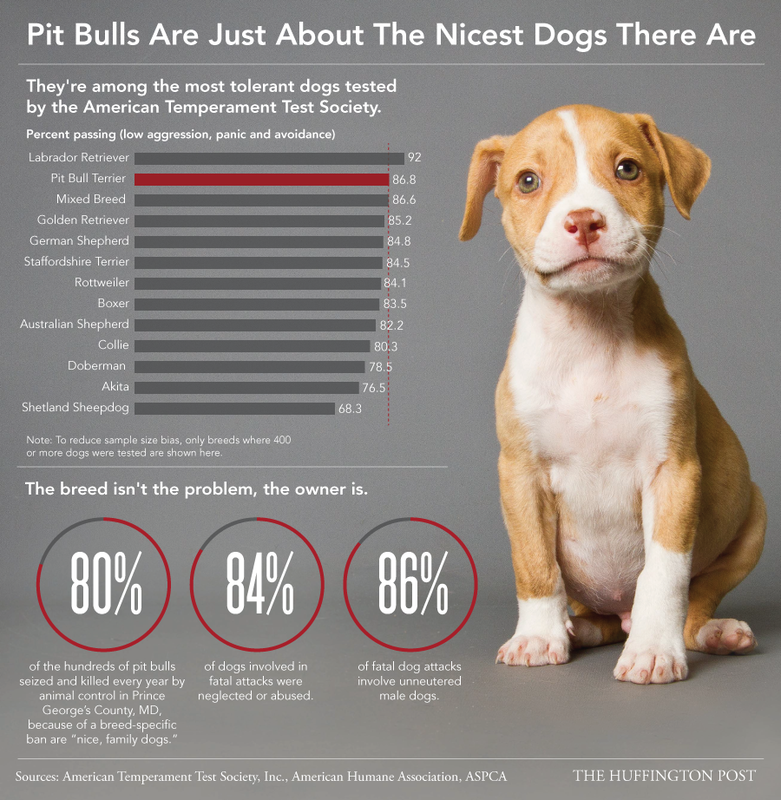 Most pit bulls would rather babysit the kids than be forced to fight, which is just one reason breed-specific legislation is a cruel waste of resources. President Obama agrees. Sadly, pit bulls "often attract the worst kind of dog owners," according to the ASPCA. Shelters overflow with hard-to-place pits and pit mixes, so please take Pit Bull Awareness Month to consider adopting if you can provide as much love as they have to offer. Send us photos of your pit bull and we'll feature in our slide show.